<h2>Solar Impulse &#039;Efficient Solution&#039; label for profitable start-ups to boost clean energy investment</h2><br /><p>It was one of a number of initiatives launched at the Mission Innovation clean energy conference in Malmö, Sweden, on 23 May.</p> <p>Clean energy innovations are often high risk, yield low returns and take a long time to reach maturity. The idea of the label is that showing the financial impact of environmental solutions will help sell the concept of clean and renewable energy to governments and potential financial backers. 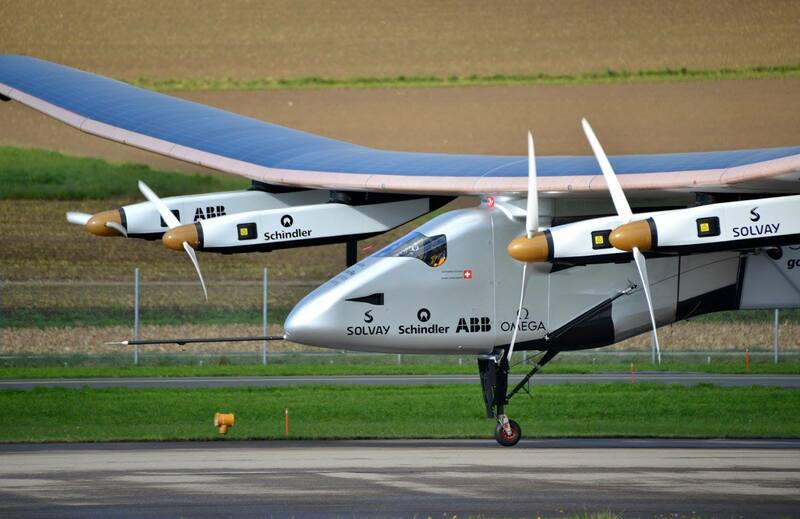 It’s led by Dr Bertrand Piccard, the first person to fly around the world in a solar-powered aircraft.</p> <p>‘When we consider climate change and consumption, it’s not only our comfort, our growth, our lifestyle that is the reason for that,’ said Dr Piccard. ‘It’s the fact that the technologies that we use are wasting half of the energy that is produced. Half of the pollution is only due to the&nbsp;losses, to the waste and the inefficiencies of the systems that are in use today.’</p> <p>He told the conference that he had already used arguments around profitability and job creation to convince right-wing politicians in Switzerland, who are generally against environmental initiatives.</p> <p>By the end of 2018, Dr Piccard aims to have selected 1,000 recipients of the label, and the EU is helping&nbsp;to reach the target by identifying the most promising EU-funded projects.</p> <p>Carlos Moedas, EU Commissioner for Research, Science and Innovation, who launched the label with Dr Piccard, said that it would change the conversation around clean energy by focusing on solutions.</p> <p>'The efficient solutions label clearly demonstrates the economic opportunities that innovative clean technologies bring,' he said. 'Its rigorous and strict criteria will help raise the profile of new breakthrough solutions and make them attractive for investors. '</p> <p><iframe src="https://www.youtube.com/embed/RPQu2ypvGIQ?rel=0&amp;showinfo=0" width="853" height="480" frameborder="0" allowfullscreen="allowfullscreen"></iframe></p> <p><em>Clean energy is the market that will make 'every country great again', said Dr Piccard, at the Mission Innovation conference on 23 May.</em></p> <p>In 2019, Dr Piccard will travel around the world to promote the solutions to governments and businesses, and they will also be presented at the UN's 24th climate change conference COP24 in December 2018. The aim is to encourage&nbsp;the adoption of more ambitious environmental targets and energy policies by highlighting the financial advantages of doing so.</p> <p><strong>Two-thirds</strong></p> <p>Energy consumption and production&nbsp;account for <a href="https://www.weforum.org/whitepapers/accelerating-sustainable-energy-innovation" target="_blank" rel="noopener noreferrer">two-thirds</a> of greenhouse gas emissions, so sustainable energy innovation is vital if the world is to achieve its climate goals.</p> <p>That’s one of the reasons that the <a href="http://mission-innovation.net/" target="_blank" rel="noopener noreferrer">Mission Innovation</a> project was launched in 2015 at the Paris climate change conference, where countries agreed to limit global warming to two degrees above pre-industrial levels. It aims to double public investment for early-stage clean energy entrepreneurs by 2021 in a bid to dramatically speed up innovation in this sector, and is supported by 24 members, including the EU.</p> <p>‘Citizens and innovators can help us to accelerate the clean energy revolution,’ said Commissioner Moedas.</p> <p>Ahead of the Malmö conference, the World Economic Forum (WEF) launched a <a href="https://www.weforum.org/whitepapers/accelerating-sustainable-energy-innovation" target="_blank" rel="noopener noreferrer">white paper</a> that identified the main problems faced by clean energy entrepreneurs, including a so-called financial valley of death – meaning that there is little long-term risk capital available in the sustainable energy sector.</p> <p>According to the WEF, governments currently supply more than two-thirds of global investment into research development and demonstration (RD&amp;D) for clean energy projects, while most private RD&amp;D is focused on oil and gas rather than renewable technology.</p> <p>The paper set out six bold ideas for improvement – including creating institutions for energy innovation, establishing an independent international fund to finance energy projects that combines public and private donations, and developing instruments for public-private co-investment. It highlighted the need for alliances between organisations and companies that promote innovation, and praised the Mission Innovation programme as a best-practice example.</p> <p> <div class="quote-view quotesBlock quote_horizontal"> <div class="quotesTop"><img src="https://horizon-magazine.eu/sites/all/themes/horizon/images/quotes_top.png" alt="" title="" /></div> <p>'Citizens and innovators can help us to accelerate the clean energy revolution. '</p> <blockquote><p>Carlos Moedas, European Commissioner for Research, Science and Innovation</p></blockquote> <div class="quotesBottom"><img src="https://horizon-magazine.eu/sites/all/themes/horizon/images/quotes_bottom.png" alt="" title="" /></div> </div> </p> <p>Through the Mission Innovation initiative, India has also proposed an international incubator to test clean energy technologies in local markets, and Sweden has launched a competition to promote disruptive innovations funded by public-private partnerships.</p> <p>However, part of the problem is a lack of visibility, as clean energy entrepreneurs don’t always have access to the platforms where potential investors are active.</p> <p><strong>Champions</strong></p> <p>In an effort to address this, Mission Innovation is setting up a Mission Champions scheme to promote excellent clean-energy&nbsp;researchers and innovators&nbsp;and raise their profile on a global scale.</p> <p>The champions will be&nbsp;flown to the next Mission Innovation conference where they have the opportunity to network with ministers and business leaders, and they will be encouraged to engage in cross-border idea exchanges with other champions. The idea is that through the scheme, the champions’ visibility will be enhanced, which could lead to potential investment opportunities.</p> <p>To date, the Mission Innovation initiative has set out seven so-called Innovation Challenges that push member countries towards ambitious goals in a variety of clean energy sectors. The EU is co-leading challenges on converting sunlight into storable solar fuels and affordable heating and cooling of buildings. A new eighth challenge on hydrogen energy was launched this week and will also be led by the EU.</p> <p>So far, research in this area has boosted the production of aviation biojet fuels under the <a href="https://cordis.europa.eu/project/rcn/106229_en.html" target="_blank" rel="noopener noreferrer">ITAKA</a> project and have led to the development of new approaches to make building heating and cooling systems more sustainable and efficient under the <a href="https://cordis.europa.eu/project/rcn/186979_en.html" target="_blank" rel="noopener noreferrer">Celsius City</a> project. ITAKA in particular achieved greenhouse gas savings of more than 70%, and improved local air quality by 30%.</p> <p><em>If you liked this article, please consider sharing it on social media.</em></p> <p><a href="http://bit.ly/newsalertsignup" target="_blank" rel="noopener noreferrer"><img src="https://horizon-magazine.eu/sites/default/files/news-alert-final.jpg" alt="" width="983" height="222" /></a></p> <br /> <img src=”http://www.google-analytics.com/collect?v=1&tid=UA-40077089-1&cid=solar-impulse-efficient-solution-label-for-profitable-start-ups-to-boost-clean-energy-investment&t=event&ec=republish&ea=read&el=solar-impulse-efficient-solution-label-for-profitable-start-ups-to-boost-clean-energy-investment&cs=republish&cm=republish&cn=republish&cm1=1" /> This post <a href="https://horizon-magazine.eu/article/solar-impulse-efficient-solution-label-profitable-start-ups-boost-clean-energy-investment_en">Solar Impulse &#039;Efficient Solution&#039; label for profitable start-ups to boost clean energy investment</a> was originally published on <a href="https://horizon-magazine.eu/">Horizon: the EU Research &amp; Innovation magazine | European Commission</a>. Clean energy is the market that will make 'every country great again', said Dr Piccard, at the Mission Innovation conference on 23 May.